For today, I drew a card from a deck I haven't played with in a while, The Angel Tarot! 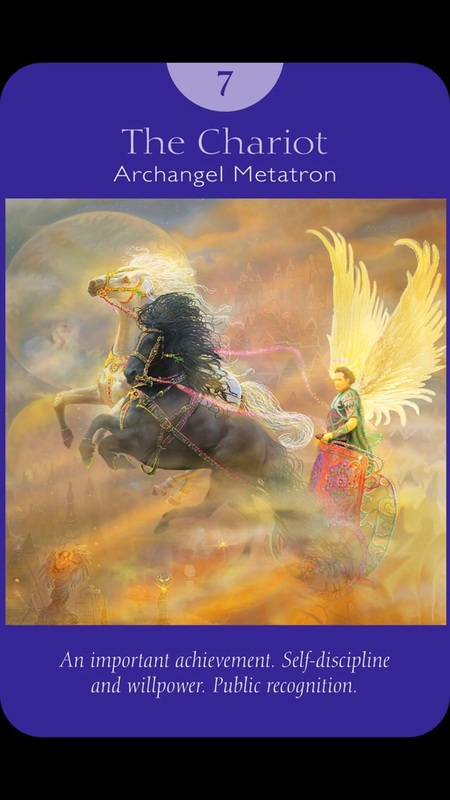 We have a wonderful card, The Chariot! You hold the reigns of where your life goes and the direction that it takes. You can steer down a positive road, or a negative road. Being positive takes a lot of will power and Self Discipline, and you have it!! Don't give up on your dreams, you will achieve them! !